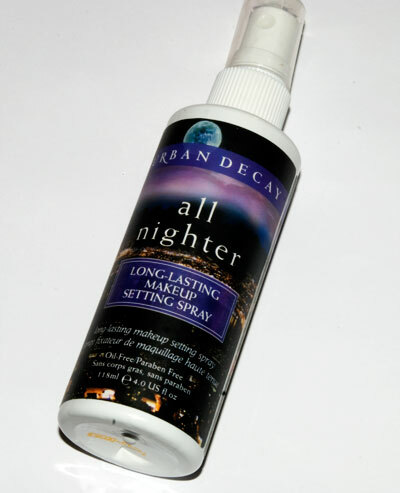 Back in 2011 I raved about Urban Decay All Nighter spray HERE. I have always been very impressed with the product, what's not to love, you put your makeup on as usual, spritz this gorgeous mist on your face and it literally won't budge until you take it off - amazing! Does it actually work though I hear you ask.....yes it does! 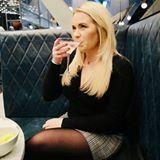 I remember the first time I used it was for a night out, I went out drinking and dancing that night and came home slightly intoxicated and did the awful thing, which we all do, and I forgot to take my makeup off. I woke up the next day and I could still see my makeup, so not only had I been on a night out, I had slept in my makeup and it was still pretty damn good! 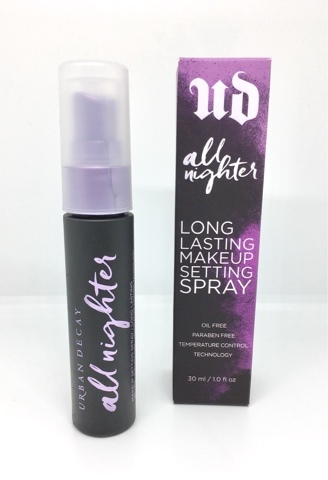 Urban Decay have recently repackaged the All Nighter spray and it is looking better than ever! It's sleek, compact, sturdy and much more appealing!!! "Is a makeup meltdown ruining your midnight mojo? Mist on this weightless spray to give your makeup serious staying power. All Nighter Setting Spray keeps makeup looking gorgeous for up to 16 hours — without melting, fading or settling into fine lines. Developed in an exclusive partnership with Skindinavia, our ground-breaking, tested formula is suitable for all skin types, free of oil and parabens, and features patented Temperature Control Technology. You got it — this baby lowers the temperature of your makeup to keep foundation, eyeshadow, blush and concealer in place — even in hot and humid, or cold and windy weather conditions. The result? Smoother-looking skin and long-lasting makeup that you can keep on all day or night." 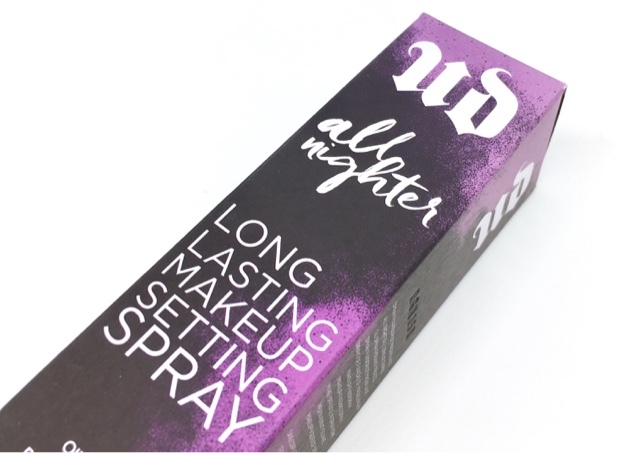 Urban Decay All Nighter costs £23.50 and is readily available from many places online but you can find it directly on the Urban Decay website HERE or even in stores such as Debenhams. If you haven't tried a makeup setting spray yet I would definitely recommend looking at one of Urban Decay's range!